In April 2017, Phil Spencer, Head of Gaming at Xbox, expressed a desire to create a “Netflix of video games”. Two months later, the company officially announced Xbox Game Pass. A novel new service that gives gamers access to over 100 games for a set monthly fee. At E3 2017, Spencer took to the stage and revealed that Xbox Game Pass would now also include Xbox 360 games via backwards compatibility. The move solidified the Xbox platform as one that is both backward and forward compatible, and also added additional value to the fledgling subscription service. Alas, for long time gamers on the Xbox platform, the Xbox Game Pass service offers little in terms of perceived value. Most of the games in the service are at least a year old, with very few ‘new’ games. Furthermore, most games are most likely already owned by a large majority of Xbox One owners, especially those who jumped in as the console launched in 2013. 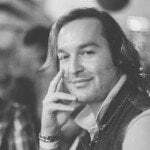 With this in mind, the service is, at least in my opinion, geared more towards people who are new to the platform – in this case, it offers incredible value. However, the value of the service has now increased exponentially, for both old and new users alike. 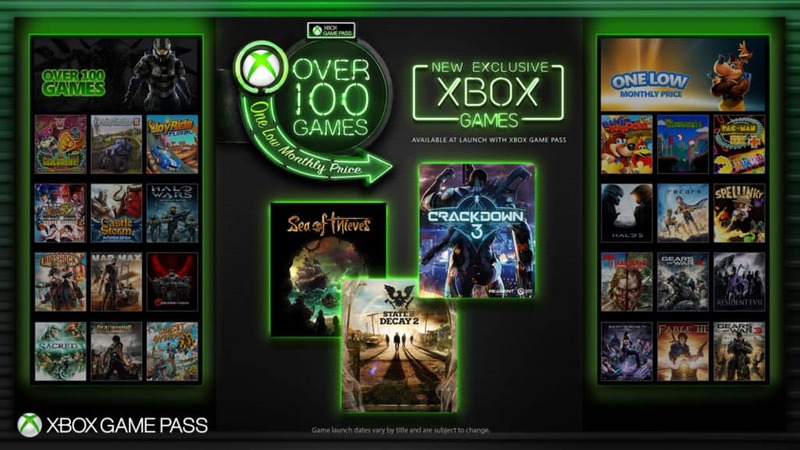 In a surprise announcement via Major Nelson’s blog, Phil Spencer has revealed that all future Xbox One exclusive titles from Microsoft Studios will now be included in Xbox Game Pass. This is absolutely incredible news, and is similar to Netflix and its Netflix Originals programming. Now, for one set fee per month, gamers will have access to all future titles in franchises such as Forza, Halo, Gears of War, State of Decay, Crackdown, Age of Empires, Halo Wars, Sea of Thieves and more. Spencer also clarified that these games would be made available to Xbox Game Pass subscribers on the same date as their global release. 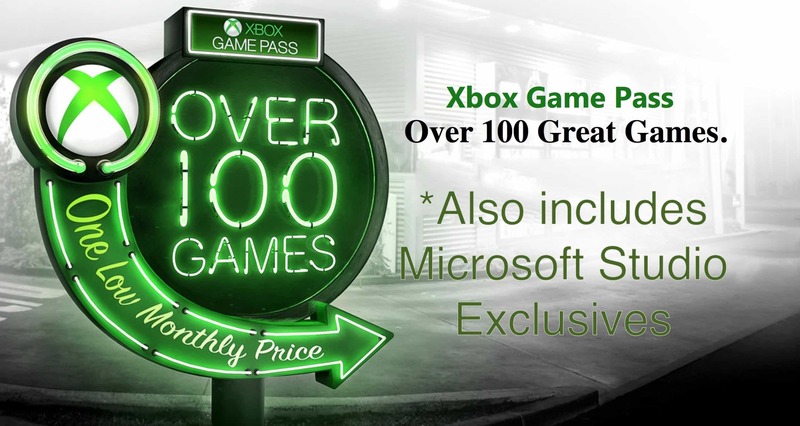 Xbox Game Pass is currently valued at $10 USD/R159 ZAR per month, and Microsoft has detailed that they will begin selling physical Xbox Game Pass vouchers at select retail partners. A six month pass will be available from 20 March 2017 for $59.99 US/R954 ZAR. However, this new expansion of the service has increased the value of Xbox Game Pass tenfold. Instead of spending, for example, US $60 (ZAR R800) on a new Microsoft Studios release like Sea of Thieves, one can use that money for six months of Xbox Game Pass; and get the game anyway because it is included. In a way, signing up to Xbox Game Pass is going to become a bit of a no brainer for Xbox gamers going forward. Especially those who enjoy Microsoft’s first party franchises and games. 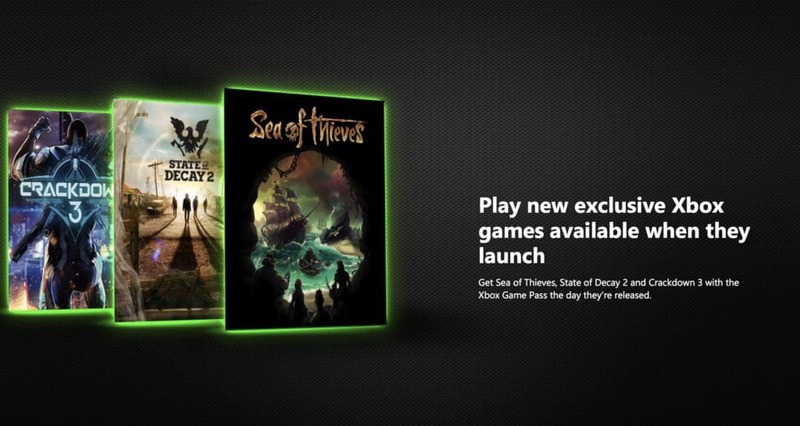 I, for one, will definitely be signing up, since I was already going to purchase Sea of Thieves and State of Decay 2. Instead, I will now put the money towards a full year of Xbox Game Pass and have access to additional new titles, like Crackdown 3 and possibly even a new Forza Horizon, for one easy monthly subscription.